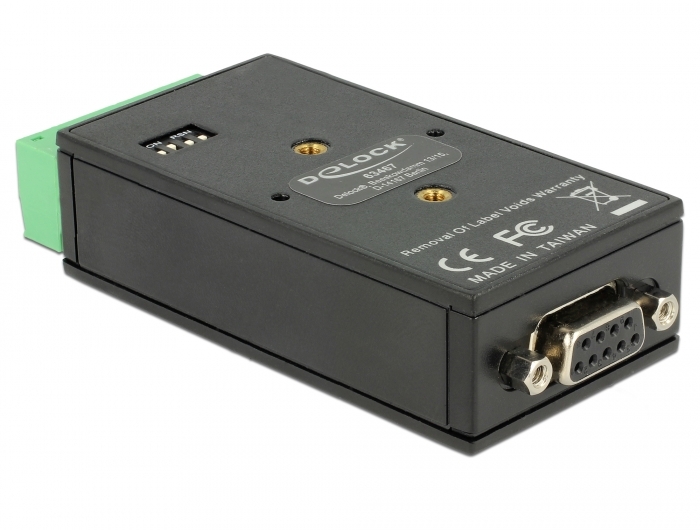 This RS-232 to RS-485/422 converter by Delock is suitable for all serial devices, e.g. 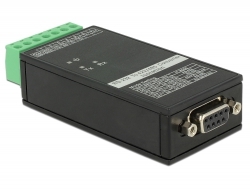 on machine controls, fieldbus systems, measuring instruments, printers or as RS-232 extender. 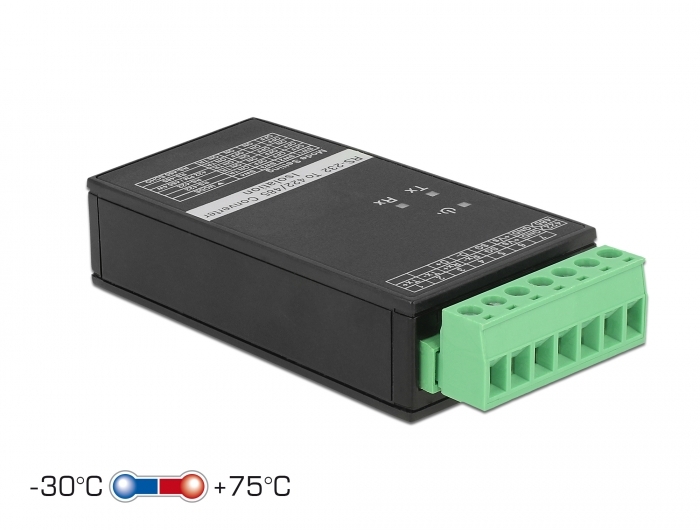 The connected components are protected against surge power by the integrated protection circuits of the converter. 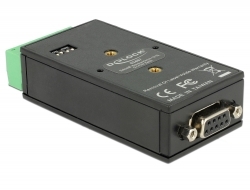 The optical isolation suppresses interference and prevents transmission errors as much as possible. 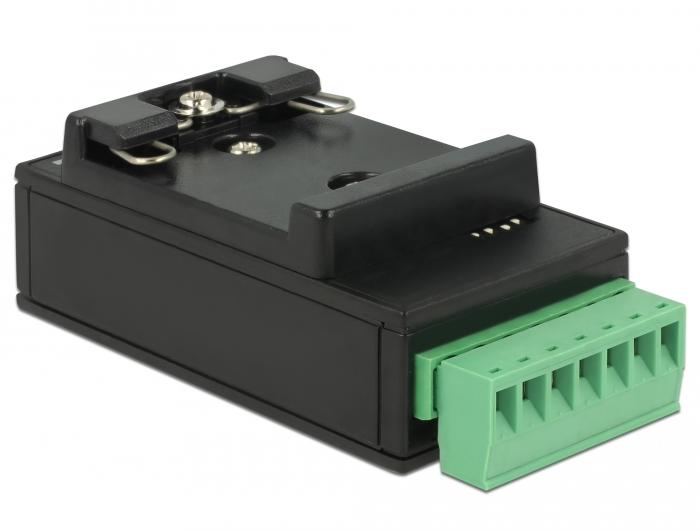 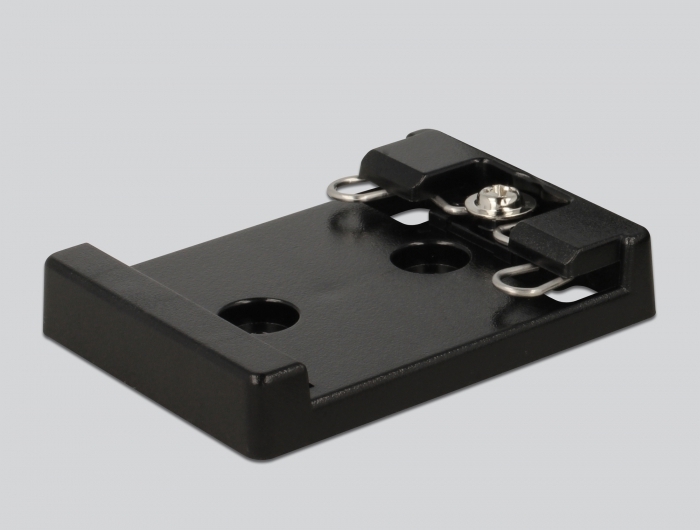 The converter is suitable for DIN rail mounting.